Dr. Louis C. Franzetti always appreciates feedback from his valued patients. To date, we’re thrilled to have collected 23 reviews with an average rating of 5 out of 5 stars. Please read what others are saying about Dr. Louis Franzetti below, and as always, we would love to collect your feedback. My experience with Dr. Franzetti’s office and staff was excellent. The staff was polite was and caring; always asking how I was doing and could they get me something. Dr Franzetti was skillful and also concerned for my welfare. All in all, a positive experience. Sustained excellent care from the whole team! Excellent for a first visit. Everyone was easy going. dr. F was thorough, Chatty and likable. Dr Franzetti did a superb job with my dental implant placement. His expertise and concern for his patients was apparent from start to finish. He and his excellent staff make the experience as stress free as possible and post-surgical pain was minimal. I recommend him without reservation. His dental hygienist is terrific too! Have never met a professional who was so enthused about his work, never mind that he is a periodontist! Who ever wants to visit one of those! AND he is the BEST!! His staff is terrific and I would recommend that before you let anyone else touch your mouth see him 1st . . . Without Dr. Franzetti, my diet would consist mainly of jello, mash potatoes and soft cheeses. He has performed three very difficult procedures that required deft and precise placement of implants. His work always garners praise from my regular dentists. Plus, I usually arrive anxious and dripping with sweat. Dr Franzetti's calm and soothing voice, along with his great staff puts me at ease every time. He's the best. I have been seeing Dr. Franzetti since 2014 and I can't say enough good things about him and his staff. They all go the extra mile for you. I am, or to put it another way, I WAS an overanxious patient. Whenever I entered a dental practice I almost panicked. But Dr. Franzetti and his amazing staff helped me to overcome my fears and today I can say I look forward to any of my appointments. During the last years I had bone grafting, root planing/scaling, 3 dental implants, you name it. You know what? I never felt uneasy, never had any discomfort and never had any problems after my treatments or surgeries. Hands down, Dr. Franzetti and his staff are the best! Five stars to Dr. Franzetti and his great staff all the way around. I had to have a molar pulled and a dental transplant and he made the whole process easy and painless! Highly recommend! Dr. Franzetti and his staff are a delight. Highly professional, responsive and easy to work with over a stretch of time. I have had multiple appointments in the past few months, and my experience each time has been great. 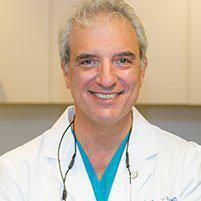 Dr. Franzetti has a gentle touch and a warm personality. This team works very well together, and they go the distance to attend to the patient's needs. I would highly recommend Dr. Franzetti to anyone who needs periodontal work and implant surgery. Dr. Franzetti and his staff have been treating me for many years. Dr. Franzetti exudes a certain confidence that you know comes naturally. The office atmosphere is warm and welcoming he and his staff truly go above and beyond to make you comfortable. I always leave his office impressed with his overall skill, confidence, competence and simple "down to the earth-ness". He makes you feel completely at ease and you know you're in the best hands! I feel that Dr. Franzetti is constantly ensuring that I am receiving the best treatment possible, and for that, I am truly grateful. I was recommended to Dr. Franzetti by my previous dentist in Florida in 2011. I needed a periodontist treatment, and Dr. Franzetti delivered the best procedure I could have received! His personal touch makes my visits more enjoyable, and you can tell he makes sure his patients are treated the right way. He is very easy to reach. I recommended Dr. Franzetti without any doubt for the best periodontal treatment in Manhattan and Brooklyn. His staff is extremely nice too. The Way a Medical Office Ought to be! I have said it before: This practice should serve as a model for others. Super Clean Teeth. A visit to Dr. Franzetti's office is always prompt, professional and pleasant. His staff works hard and I appreciate the calm environment. I feel that I am in good hands and most importantly receiving high-quality dental care. I fractured my tooth all the way to the root so needless to say I was not relaxed but every person in this office including Dr. Franzetti put you at ease immediately. The exam is thorough and the explanation of treatment is clear. The doctor is gentle and caring. So I was able to relax. Friends laugh when I say I look forward to y quarterly periodontal cleaning. My hygienist, Ellie is so smart - like a dentist herself - and gentle but thorough. All of the office staff are pleasant. Expert, Professional, and Caring. Got the very best of professional care from Hygienist Ellie and Periodontist Dr. Franzetti. Got very expert and individualized care. I have only the highest regard for Dr. Franzetti and his staff. Always a wonderful experience for a difficult work. My gums are now in perfect condition, the implant was placed perfectly, and the new tooth successfully affixed to the implant. I am very thankful for the expertise, care, and heart of Dr. Franzetti. Dr. Franzetti and his staff are consistently professional. In addition, the quality of the service cannot be better. All anxiety relevant to treatment disappears quickly. INCREDIBLE SERVICE. This was my first visit to the office. All staff was exceptionally friendly and helpful. Dr. Franzetti was great. He took his time to show me on the x-rays his exact course of action.